The more we learn about the early stages of the investigation into the Trump campaign, and the beginning of the Mueller investigation, the more we learn that James Comey, Rod Rosenstein, and President Obama's Department of Justice were not honest with the American people. To this day, the Department of Justice has still neglected to turn over documents to Congress. 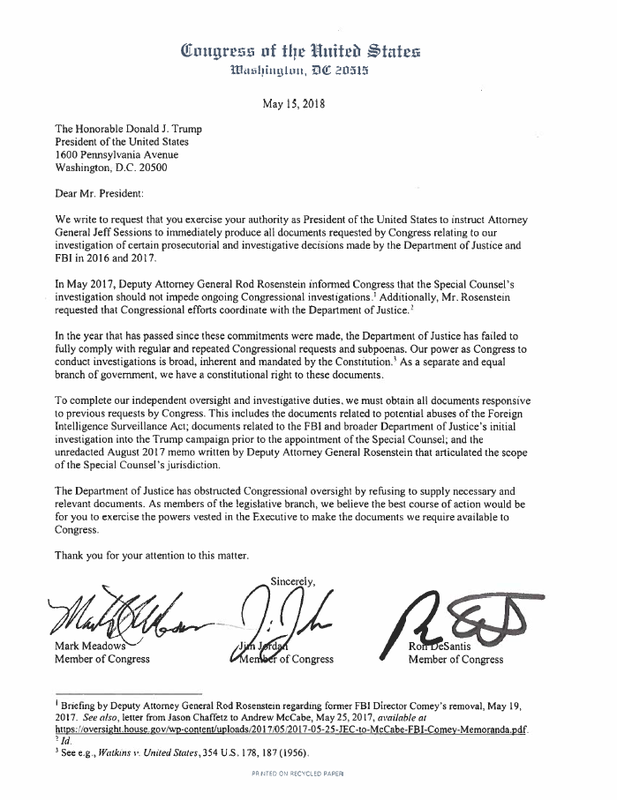 Rep. Jim Jordan (R-OH),Rep. Ron DeSantis (R-FL),and I recently asked the President in a letter to instruct the DOJ to release all relevant documents on potential FISA abuse, the initial investigation of the Trump campaign prior to the appointment of Mueller, and more. I'm all for getting to the truth about what happened. I wrote and introduced a bill to target Russian interference in our elections. But if the FBI engaged in nefarious behavior and political targeting, Americans deserve to know about it. The DOJ needs to give us the documents. Americans deserve the truth. It's about time the Department of Justice stop hiding it from them. You can read more about our letter to the President here. 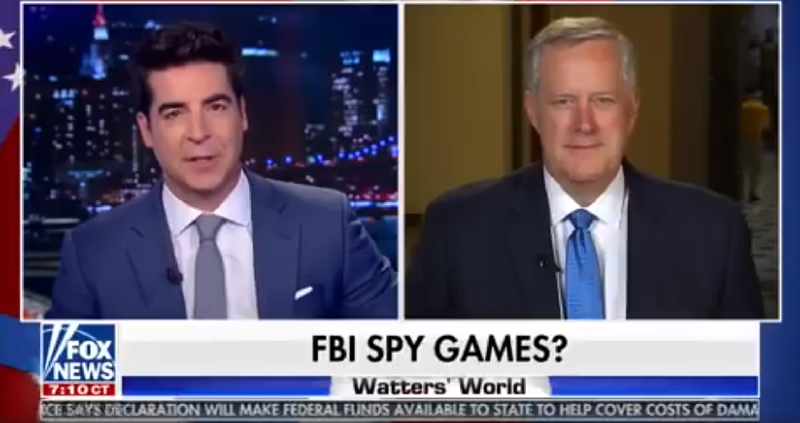 I also joined Jesse Watters on Fox News to discuss the issue. You can watch the full segment here. I’m working with a bipartisan group of lawmakers, along with President Trump, to push Congressional term limits—an issue supported by 80% of the public. Our meeting with President Trump went very well. The founders never intended Congress to become a career--the fact it has turned into such is a significant reason why Washington is so dysfunctional. I'm 100% on board with Congressional term limits. Let's make this policy happen and return influence back where it belongs: to Main Street American citizens. Read morehere. America stands with Israel once again. 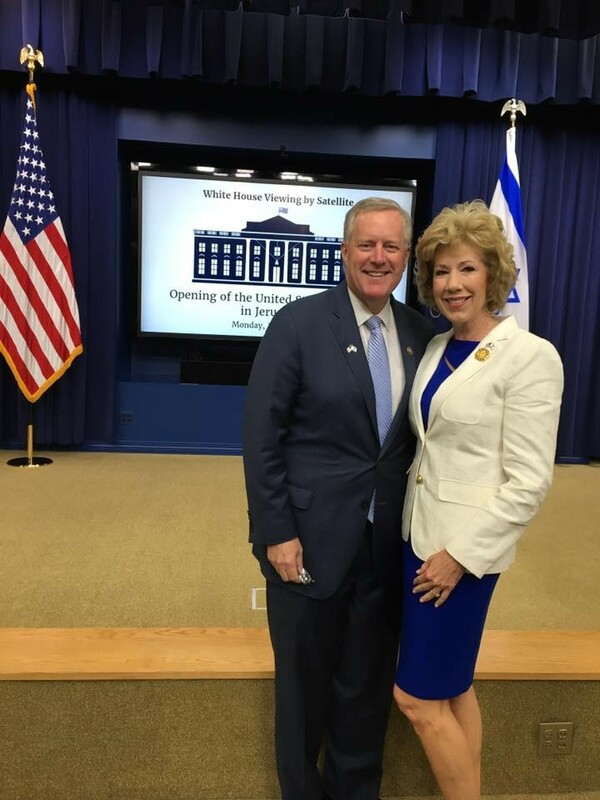 I was honored to witness an amazing moment in history this week, as the United States officially opened our Embassy in Jerusalem--Israel's true undivided capital. This week, I wrote a letter to the Government Accountability Office requesting a financial audit of the special counsel's "Russian collusion" investigation. The goal of this audit is simple: Americans need to know where their money is going. This investigation has gone on for over a year with no evidence of any collusion. If we're going to have an investigation drag on like this, then Americans deserve to know how and where the Mueller team is using their tax dollars--and how much of the investigation is truly related to "collusion" vs. political targeting of the Trump campaign. No one being paid by taxpayers should be allowed to operate independently of any government oversight. You can read more about the letterhere. 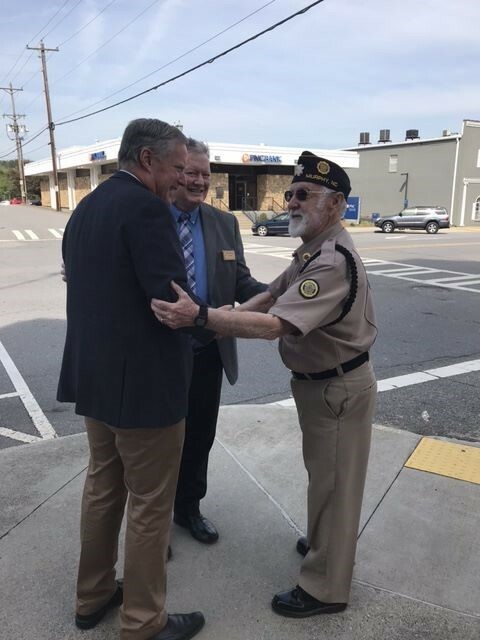 We had a great visit to the Franklin, NC VA Clinic, along with a meeting of members of the Vietnam Veterans Chapter 994 in Franklin. 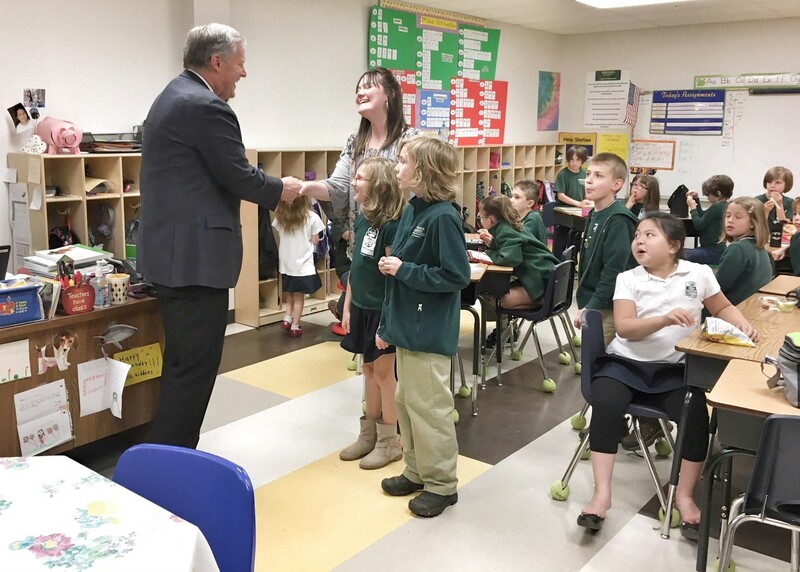 It was wonderful seeing everyone and hearing their concerns. 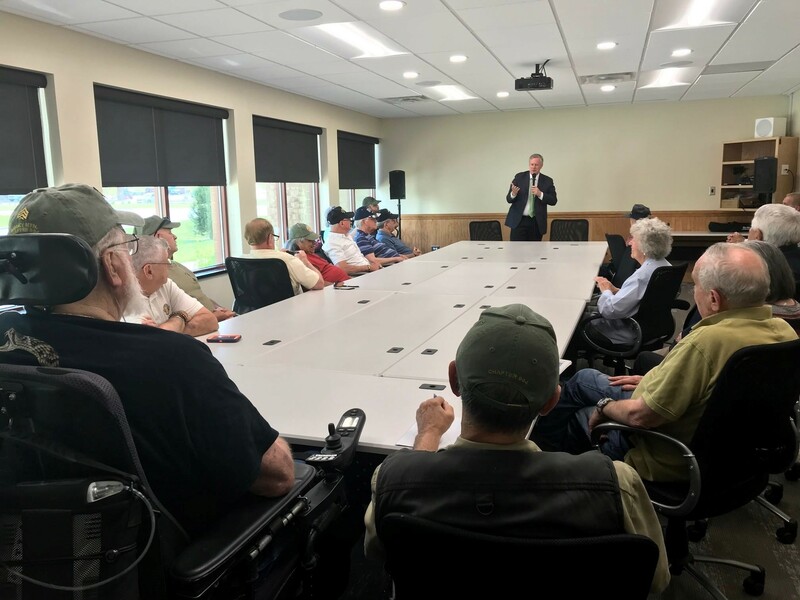 One thing we discussed was an issue I've gotten several questions about, and that is on the prospect of privatizing the VA. 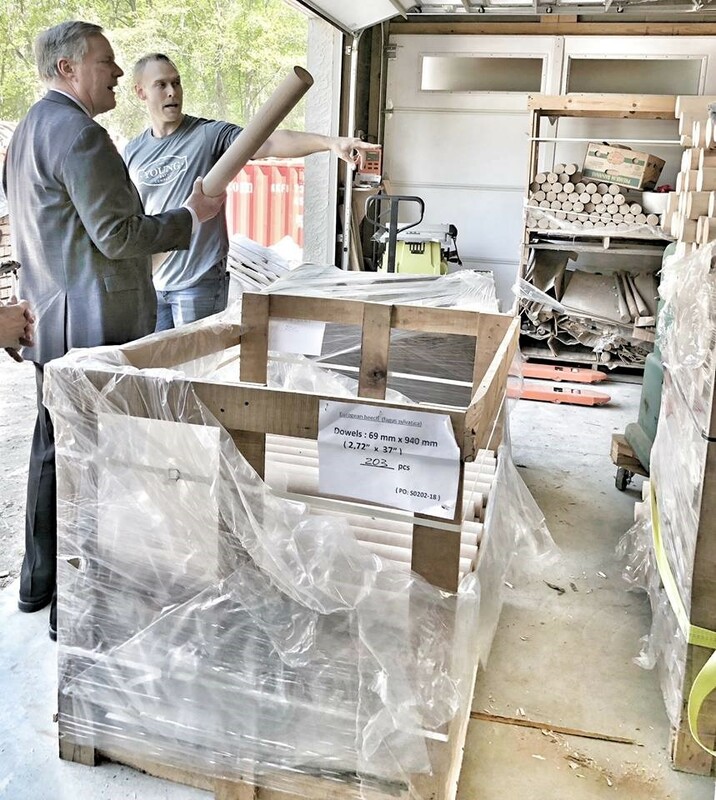 So I'm clear: I do not support privatizing the VA. Nearly every veteran and constituent I've spoken to is concerned about that idea and I stand with you--it is not something I would vote for. 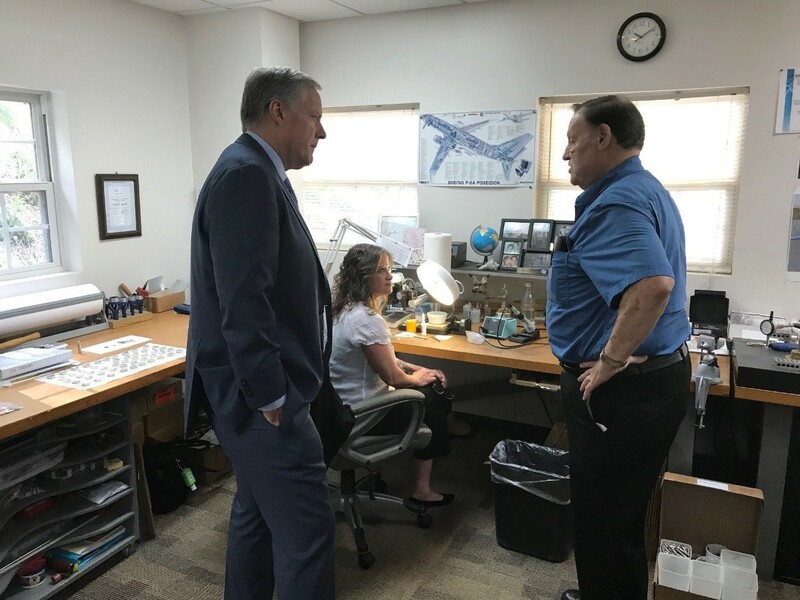 I do support policies in Congress that give veterans more options, or more choices, to ensure they receive the best health services possible--we're working on several bills on that front. 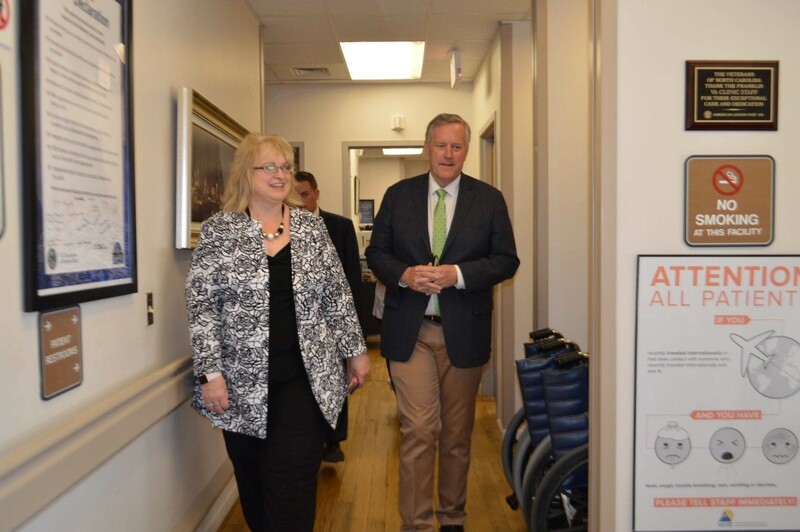 But I believe the existing VA system is one we need to fix and build upon. We're on the right track. Thanks to the incredible VA staff we have in our district. They are the best in the nation! President Trump recently announced that the United States will officially withdraw from the Iran Nuclear Deal. This is excellent news. From its very inception, the Iran Deal was nothing short of a foreign policy debacle—the President is absolutely right to reinstate sanctions and withdraw from the agreement. The United States can do better—and we will. This is a victory for a safer and more secure America. 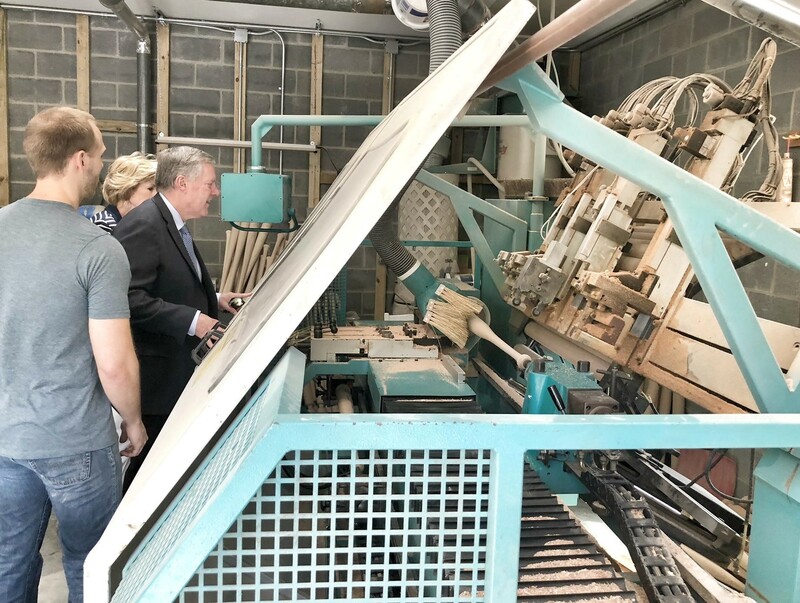 Oak Valley Hardwoods in Robbinsville is one of our district's largest lumber suppliers--they have one of the hardest working teams in NC. It was great to get a chance to see them! 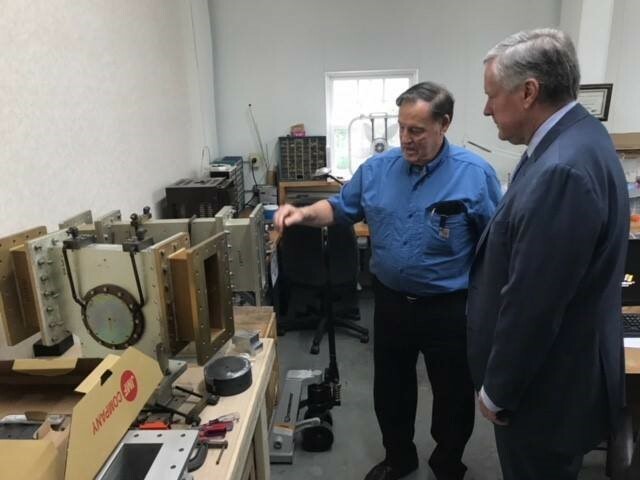 I appreciated the time from the folks at McManus Microwave in Bakersville--they specialize in production of components for microwave systems. Thanks to them for having me! 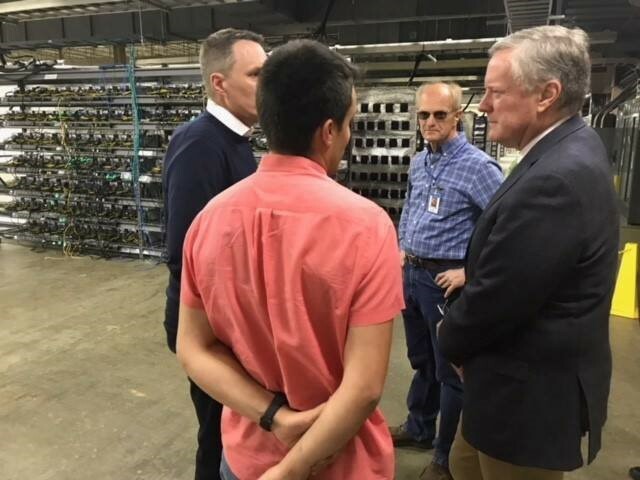 I spent some time with the team at Mineco Data Center in Cherokee County, along with my friend, Rick Ramsey, the Mayor of Murphy. 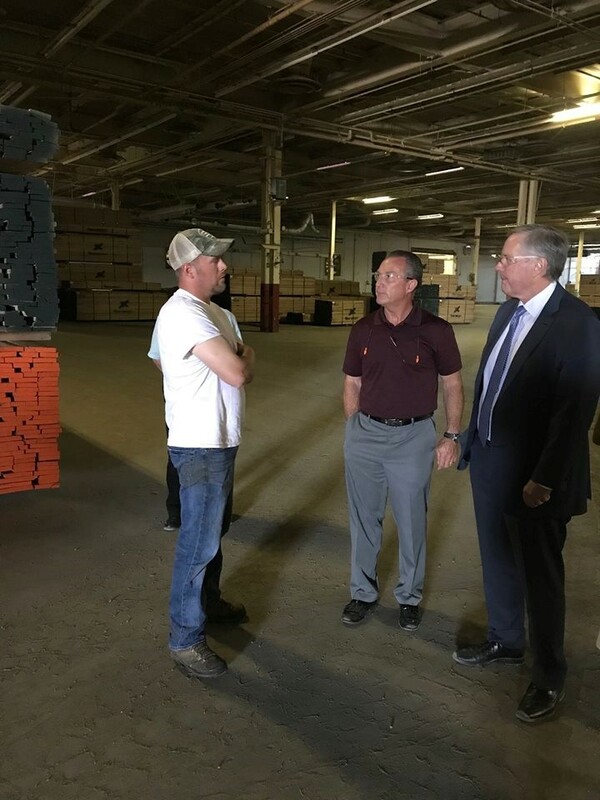 This is one of the largest hi-tech operations in our district—it’s very exciting to see how well they're doing! 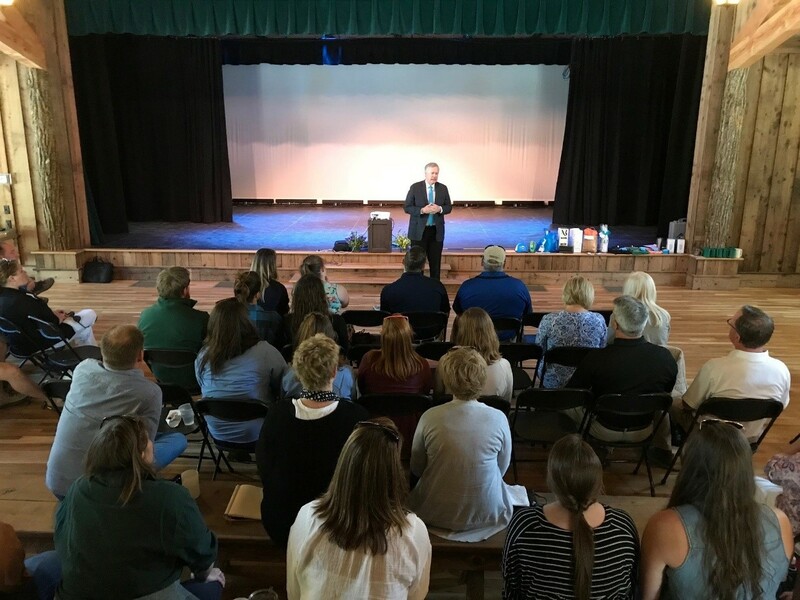 It was wonderful to spend some time taking questions from the team at the North Carolina Youth Camp Association at their meeting in Sapphire. These are great people with a real passion and gift for impacting the lives of young people. 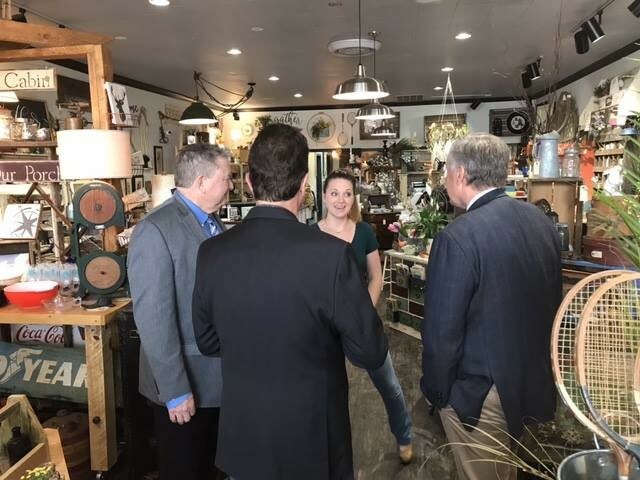 We had the chance to tour downtown Murphy with Mayor Rick Ramsey and State Rep. Kevin Corbin, stopping in on some of our local businesses and hearing from folks. 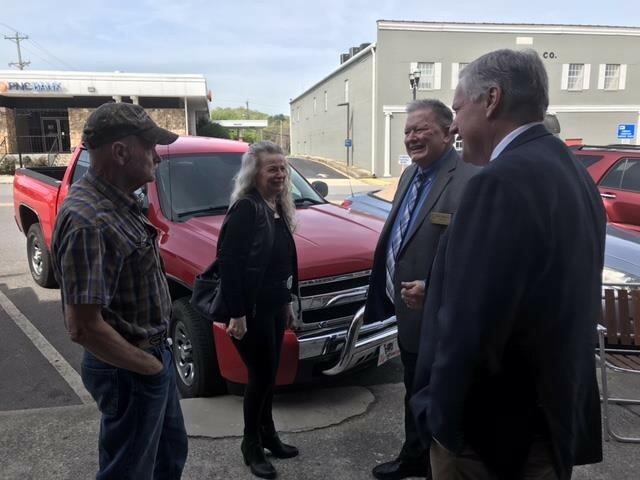 It was great to be back in Cherokee County and thanks to everyone who took some time to say hello. 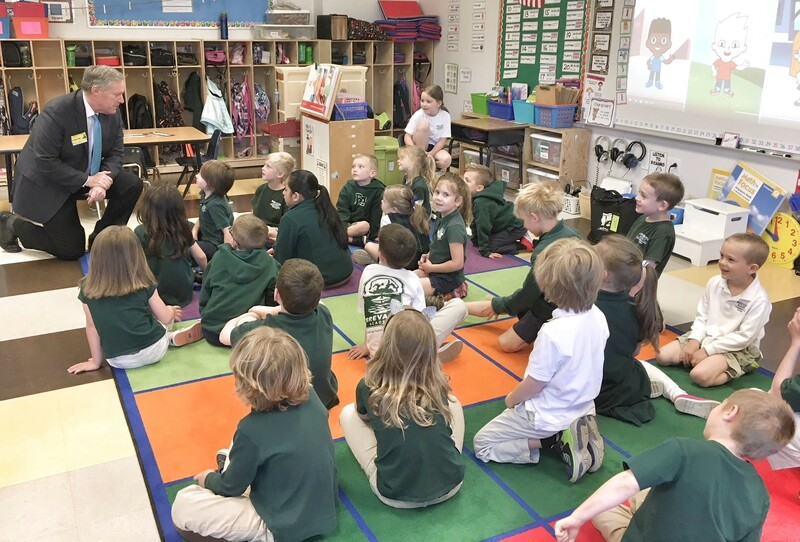 Thank you to the teachers, staff, and students of Brevard Academy for the kind welcome to your school recently! It was encouraging to see all of you and hear from the students. 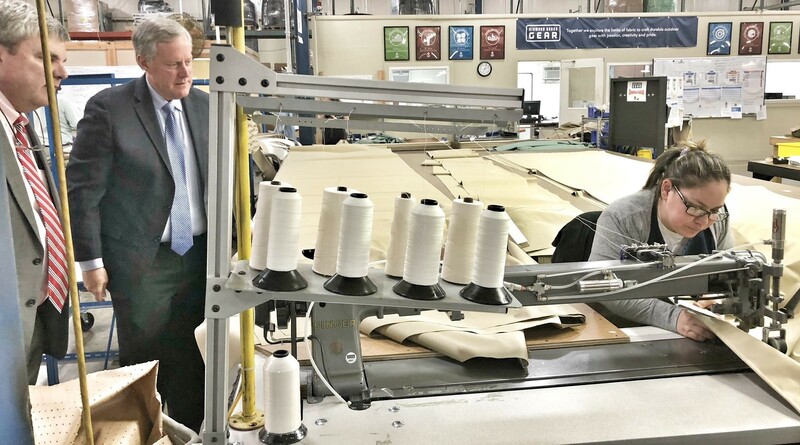 Thanks to the team at Diamond Brand Gear in Fletcher for having me to their facilities--they're an American maker of craft military, outdoor, and protective gear. 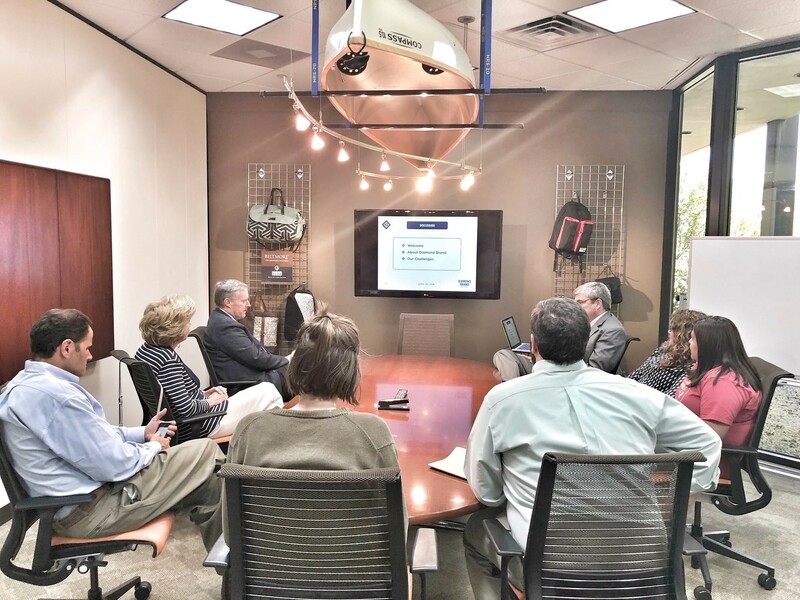 They are a great company with dedicated people! 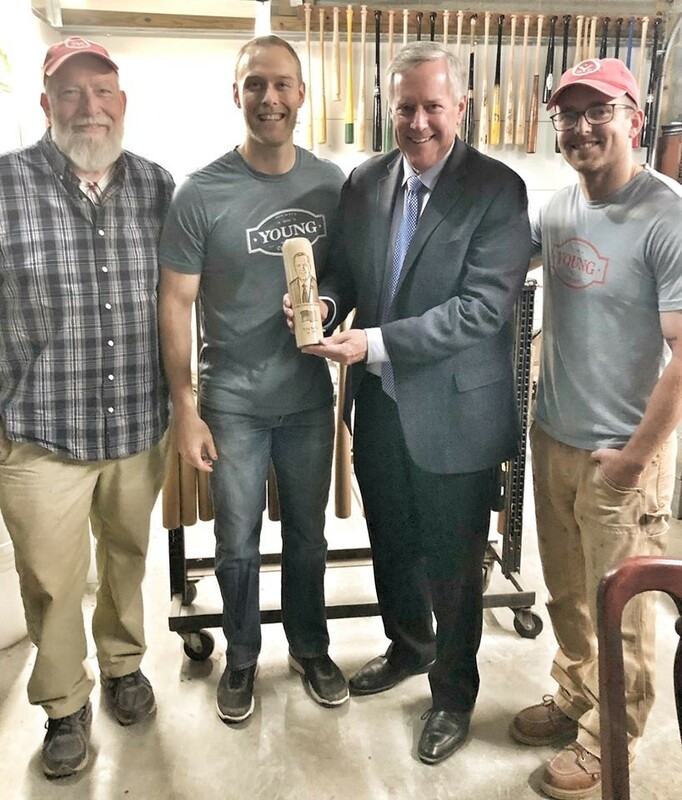 I enjoyed spending some time with the team from Young Bat Company in Fletcher! They could not have been more kind. 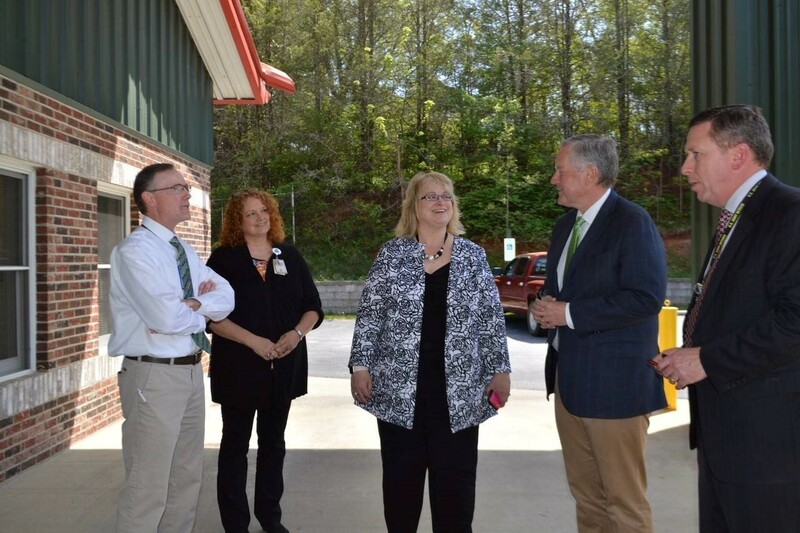 We have some exciting new technology, projects, and businesses in the works in Western NC.